With over 150 years combined experience in the industry, we provide high-quality kitchen worktops from our fully equipped factory in East Lothian. 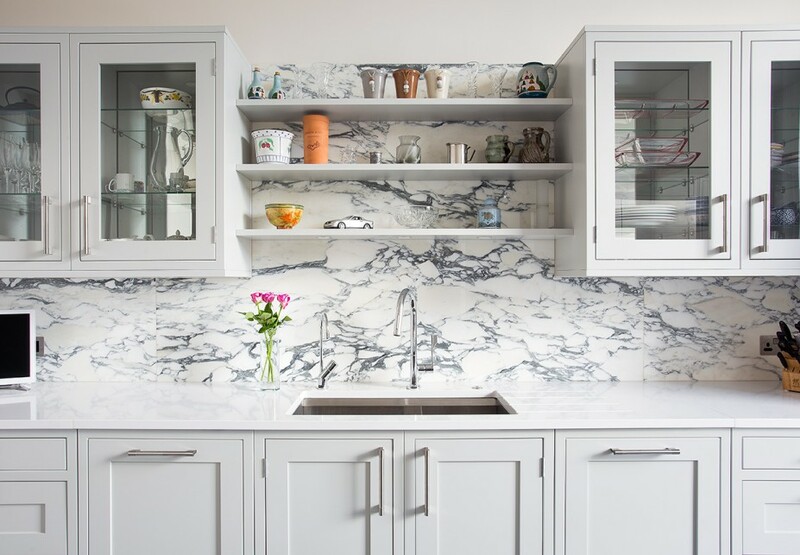 Here at Stonecraft Edinburgh, we specialise in providing a huge selection of granite and quartz materials for kitchen worktops and bathroom surfaces to complement any design or decor. We also supply marble, limestone and slate slabs for all aspects of the home including bathroom vanity counters, bath surrounds, shower cladding and beautiful wet rooms. With reliable, professional relationships with some of the leading suppliers of granite, quartz, limestone, slate and marble around the world, we have become one of the most respected suppliers of exceptional stone kitchen worktops in the UK. We provide a completely comprehensive service, from the templating and sourcing of your perfect material, to our professional kitchen worktops fitting and customer care which ensures the highest quality standards, products and finishes. Combine this with our fast and efficient turnaround times, we always satisfy the demands of our customers. For our Creative Quartz range we offer free quotes. Simply fill in the form with at the link below. Stonecraft also offer surfaces for some of the worlds leadings suppliers including Silestone, Dekton and many more.